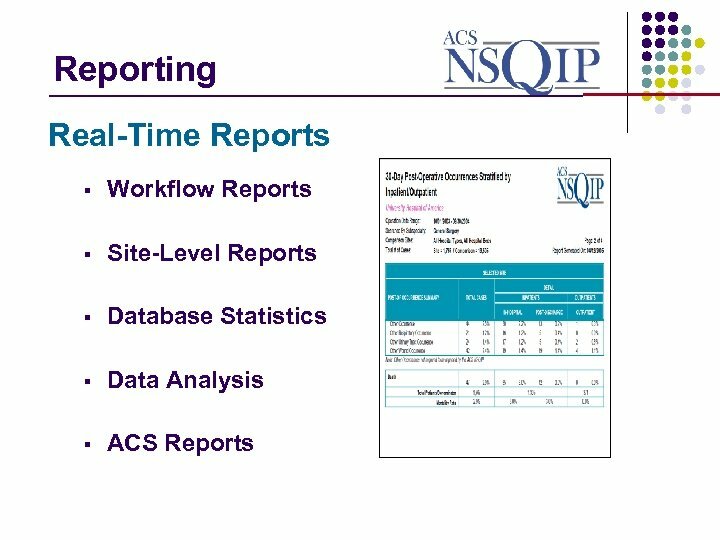 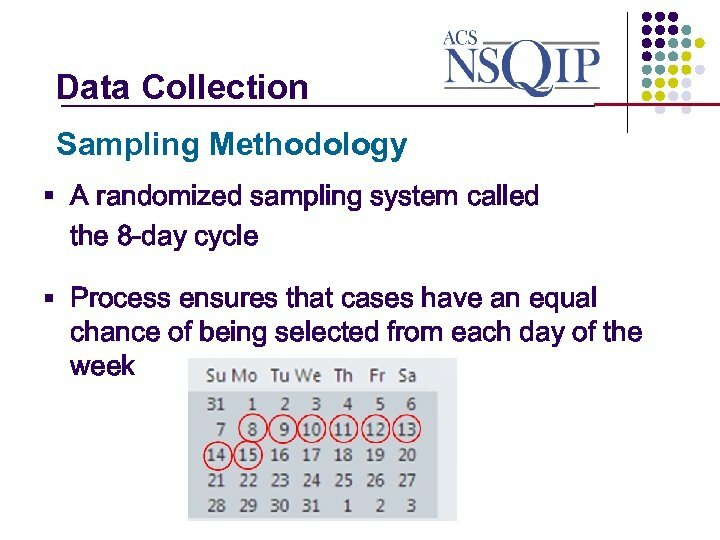 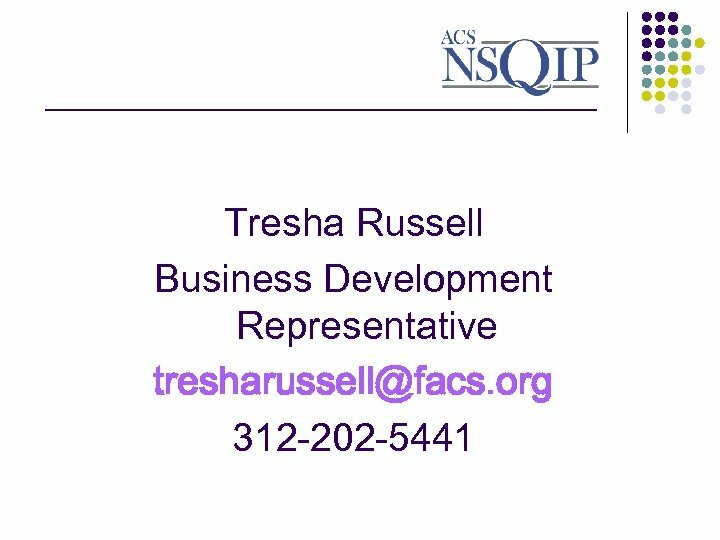 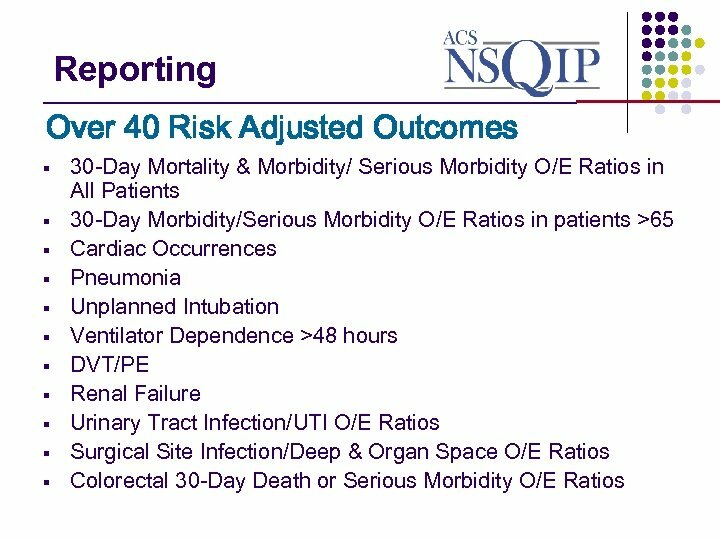 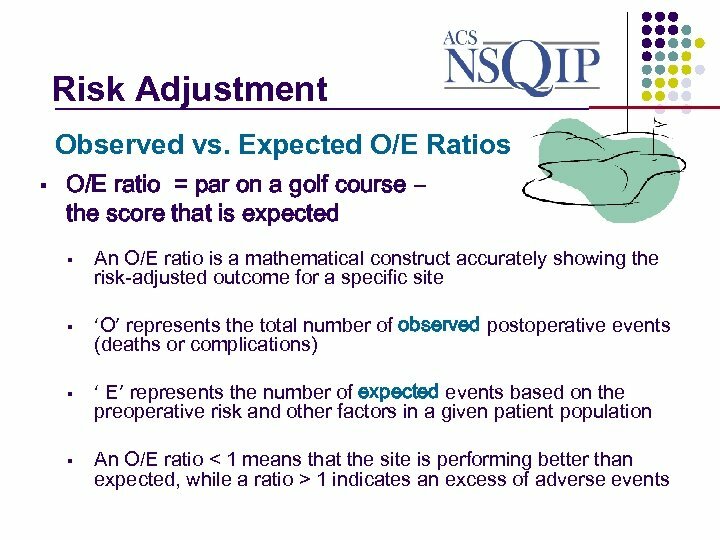 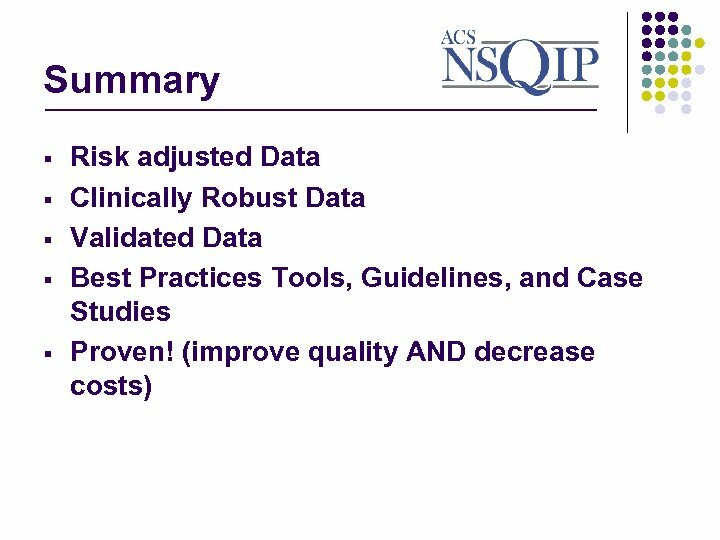 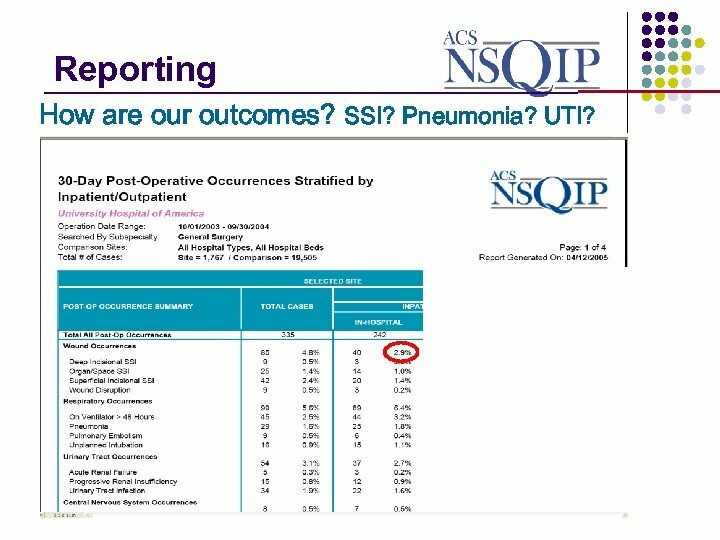 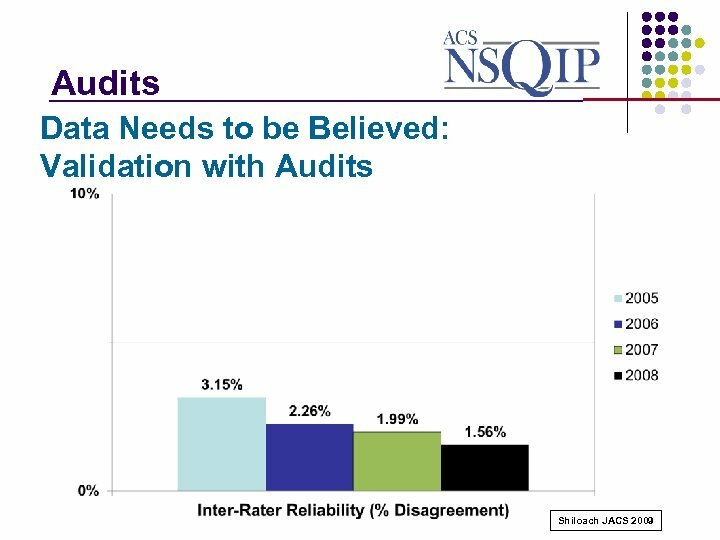 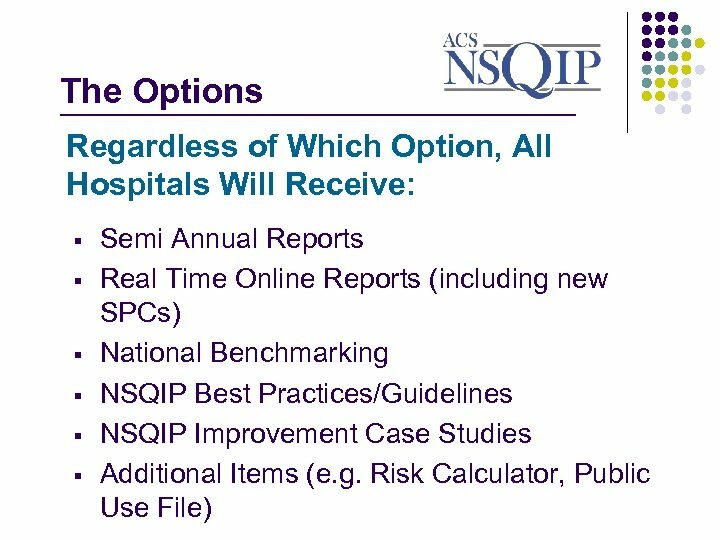 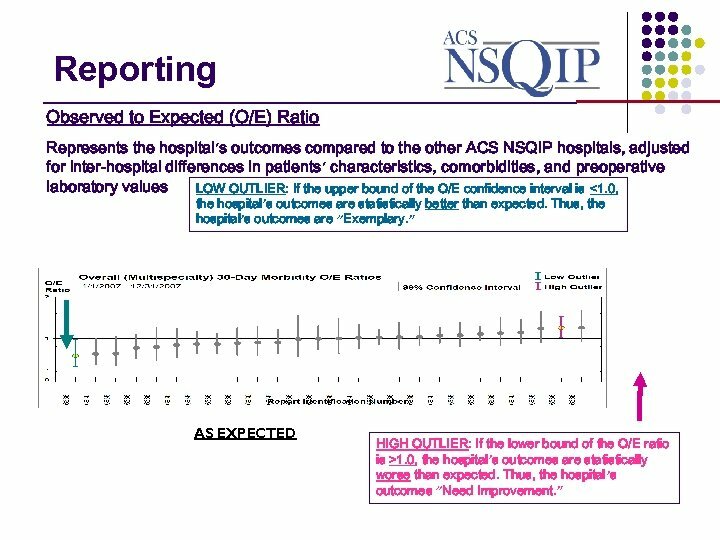 Reporting _______________ How are our outcomes? 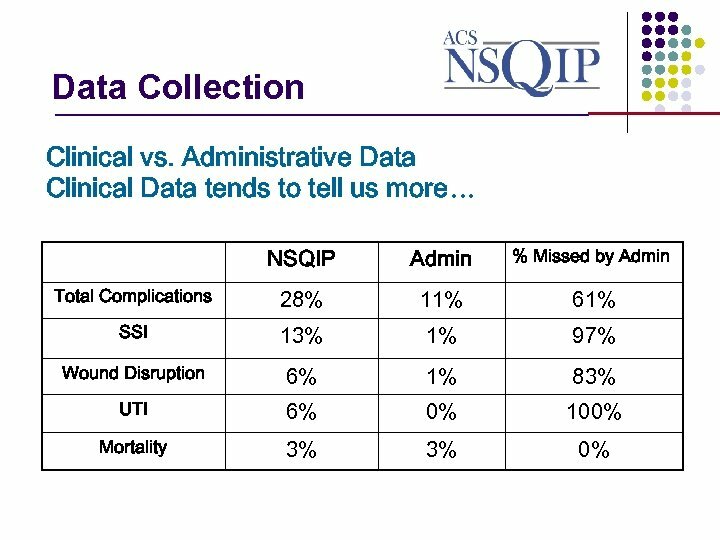 SSI? 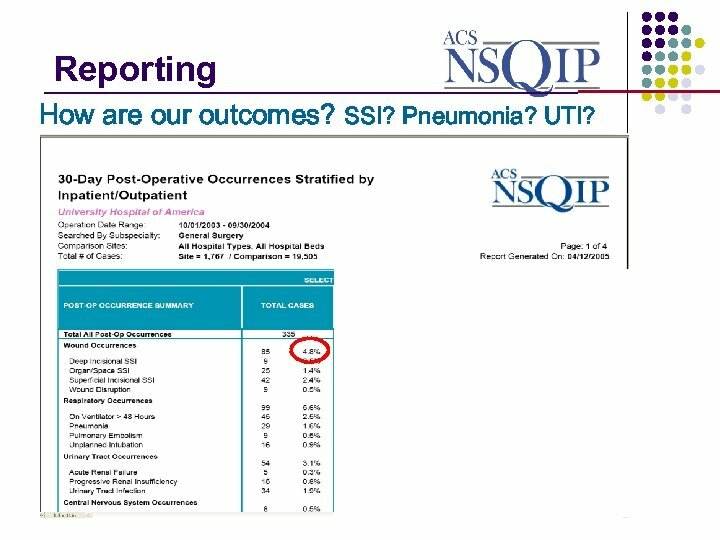 Pneumonia? 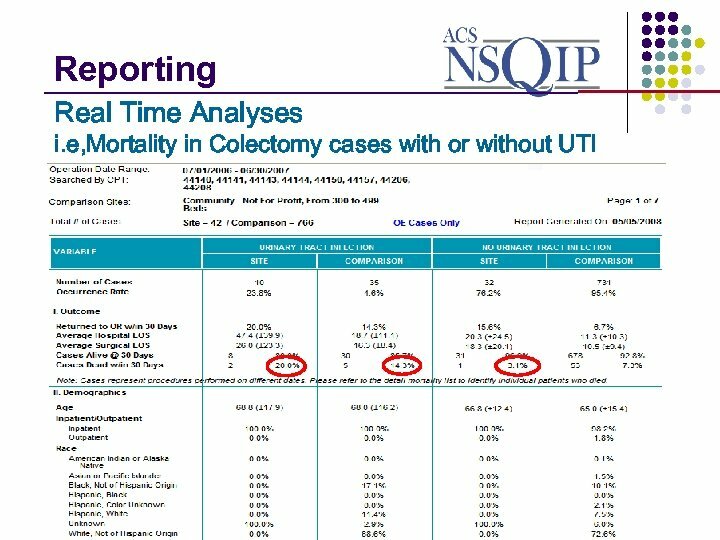 UTI? 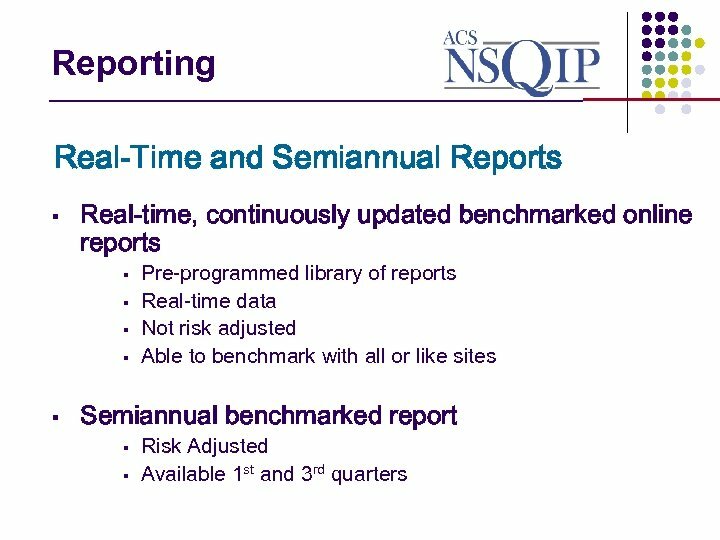 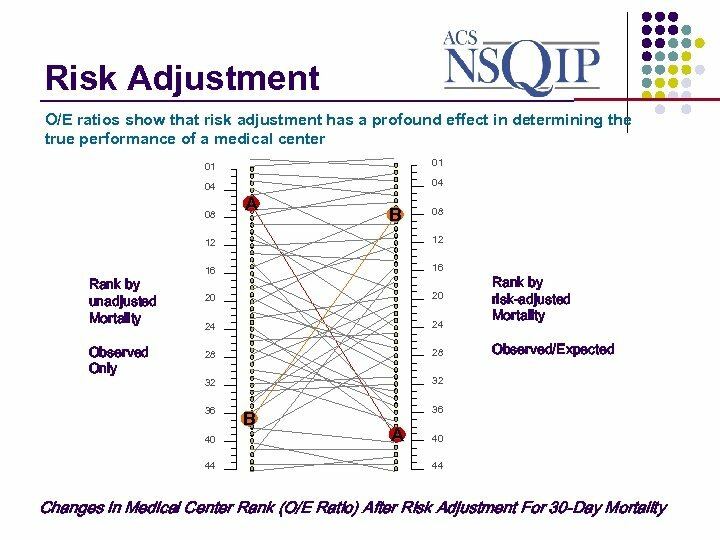 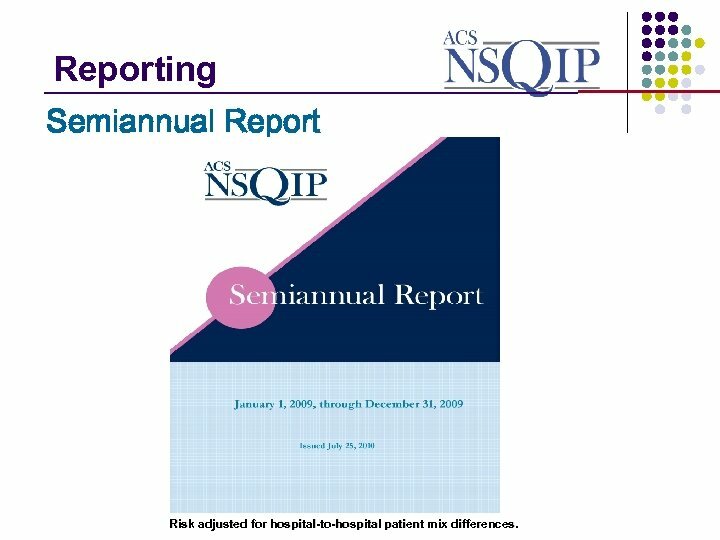 Reporting _______________ Semiannual Report Risk adjusted for hospital-to-hospital patient mix differences. 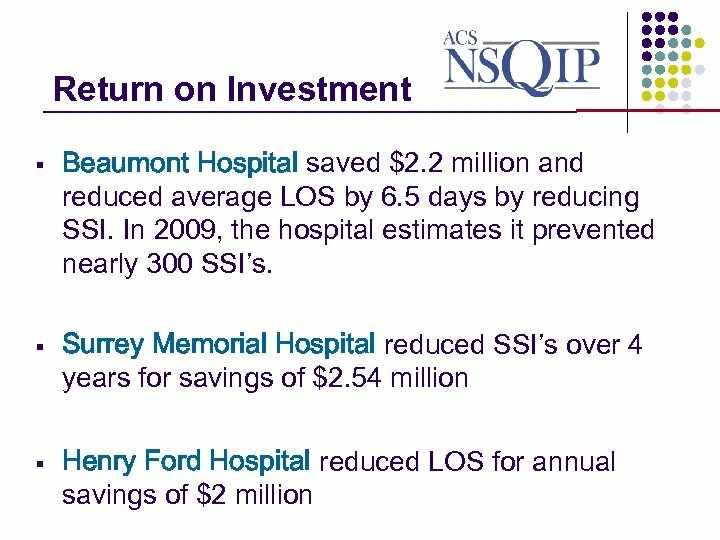 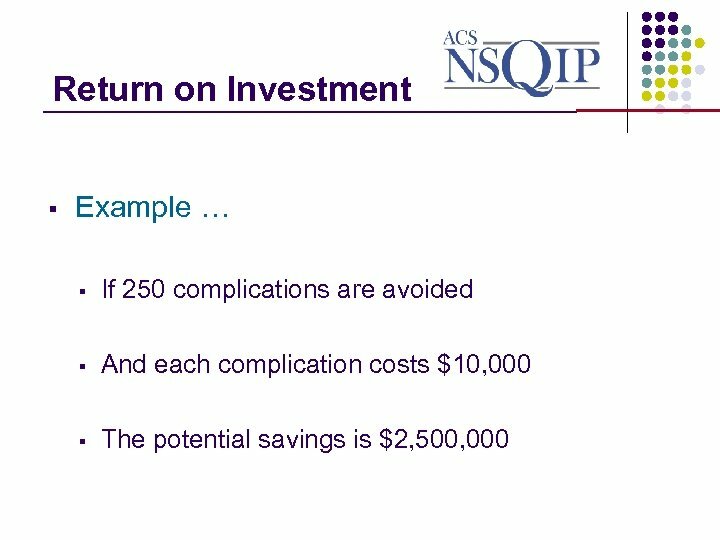 Return on Investment _______________ § § Henry Ford Hospital reduced their length of stay by an average of 1. 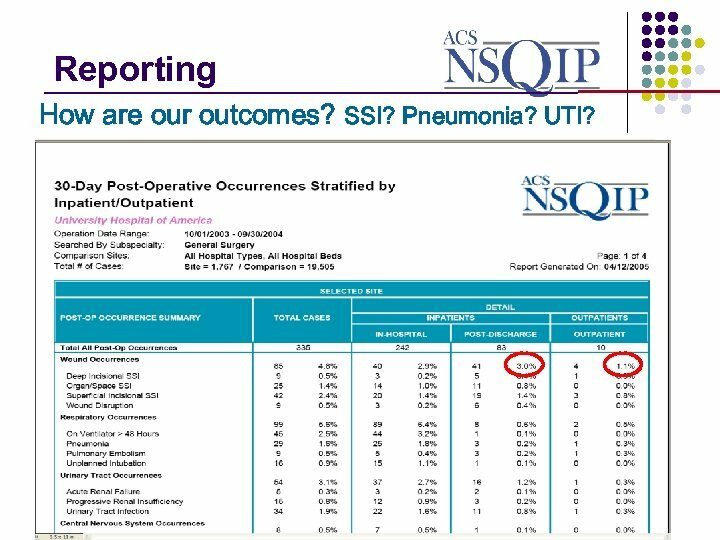 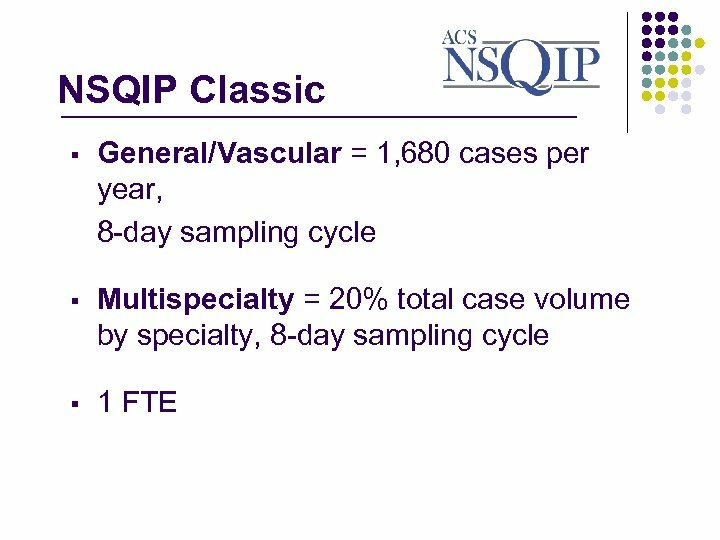 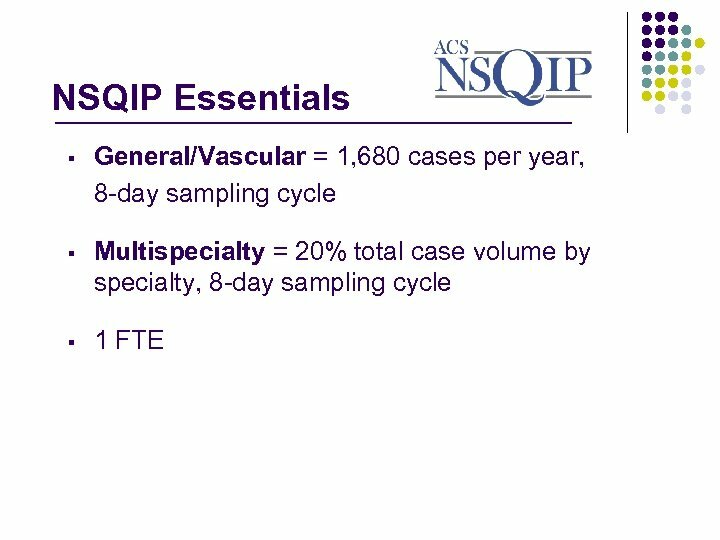 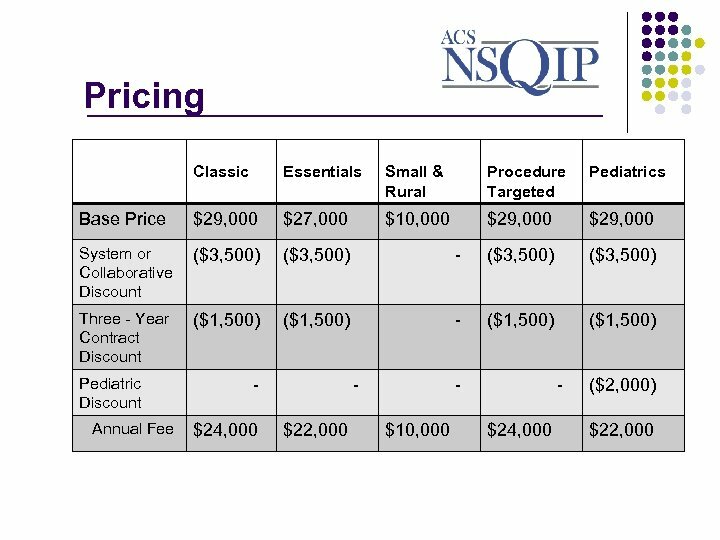 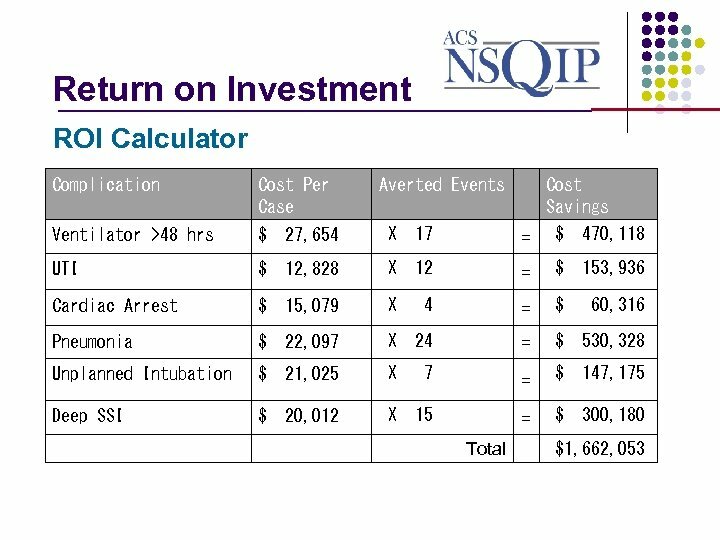 54 days after reviewing data from all patients who underwent a general, vascular, or colorectal procedure translating into an annual savings of $2 million. 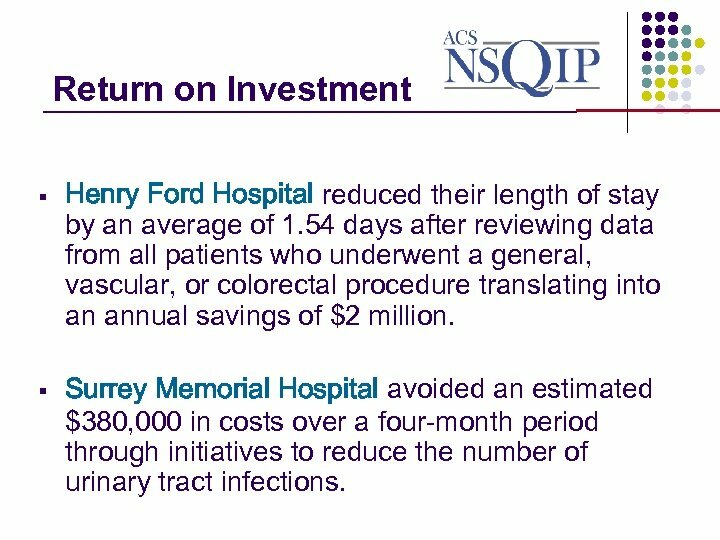 Surrey Memorial Hospital avoided an estimated $380, 000 in costs over a four-month period through initiatives to reduce the number of urinary tract infections. 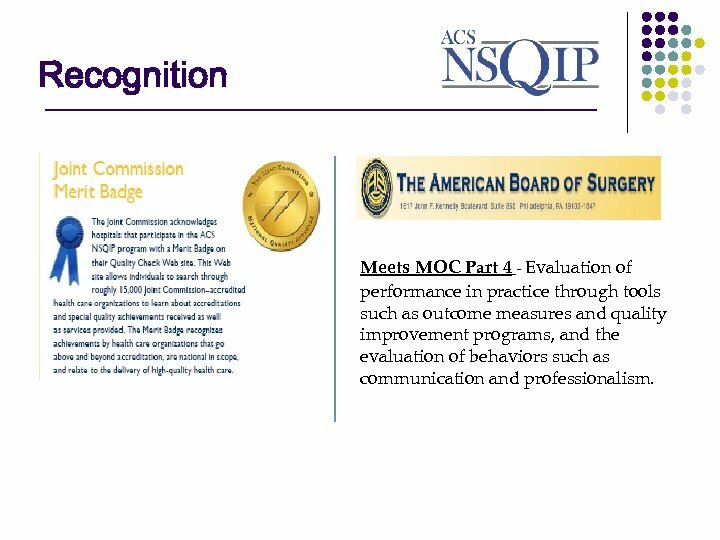 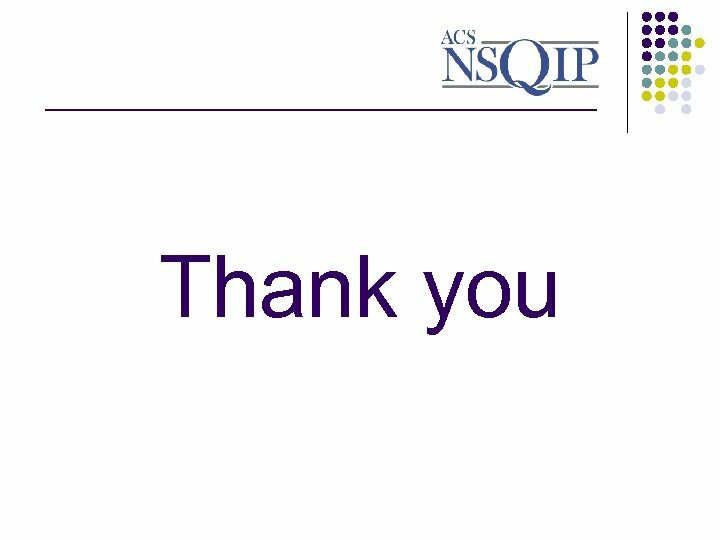 Recognition ________________ Meets MOC Part 4 - Evaluation of performance in practice through tools such as outcome measures and quality improvement programs, and the evaluation of behaviors such as communication and professionalism. 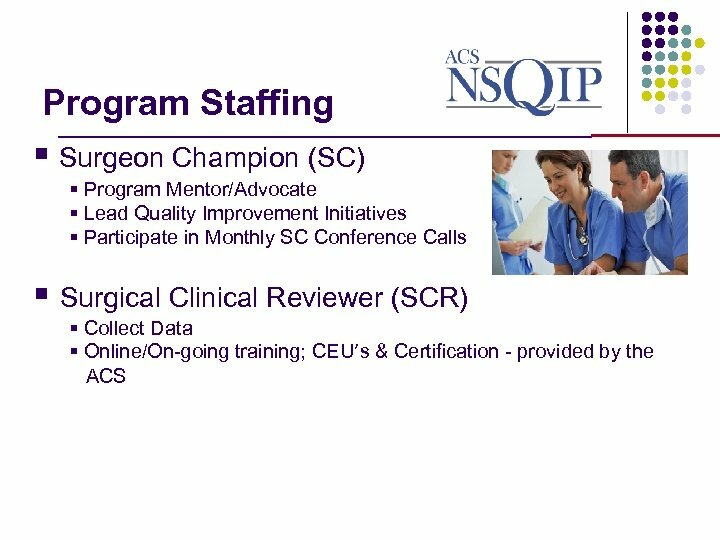 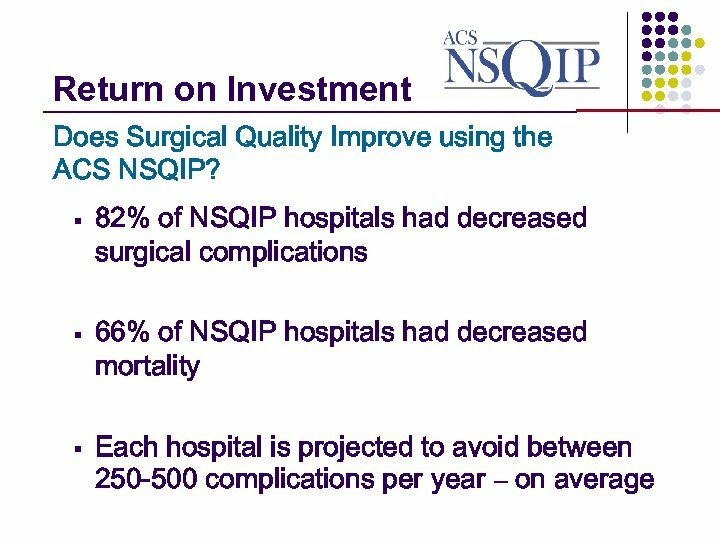 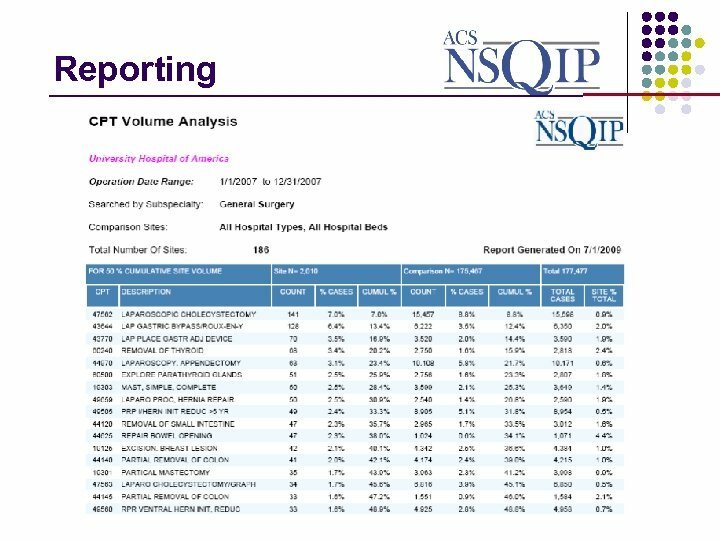 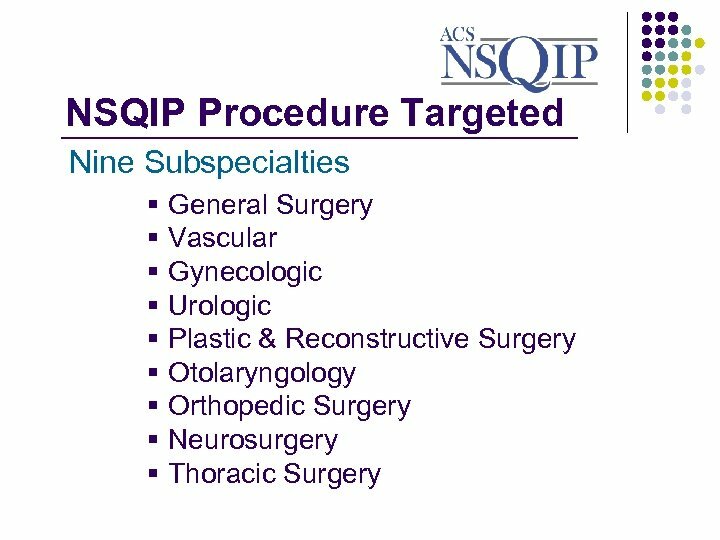 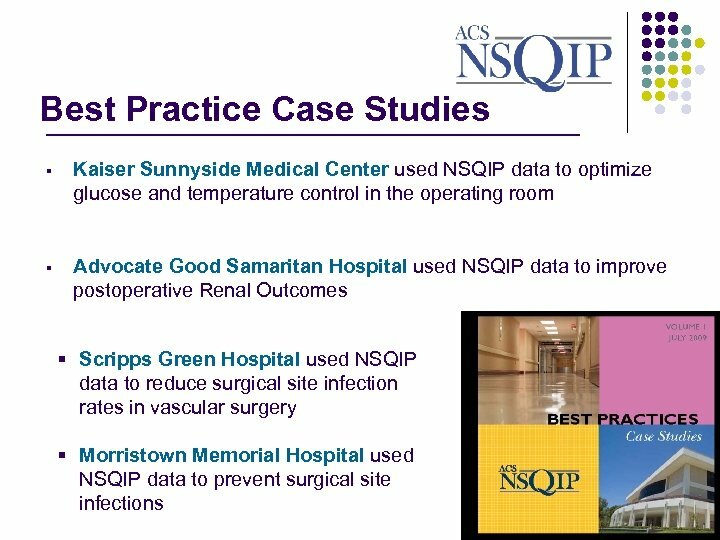 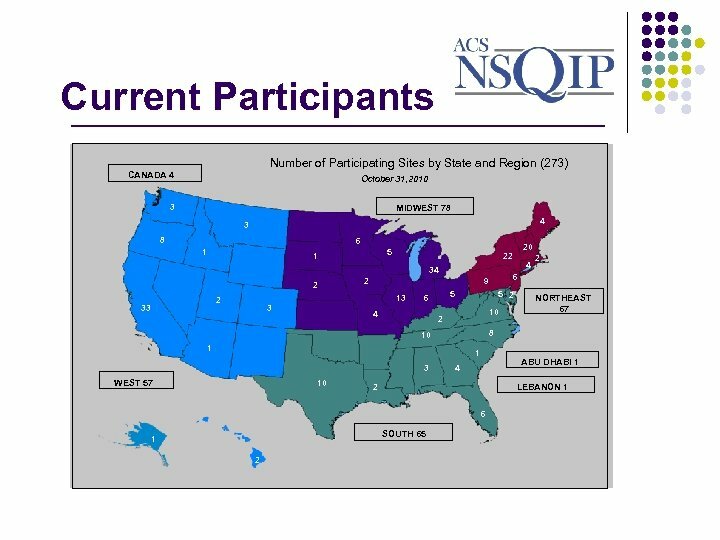 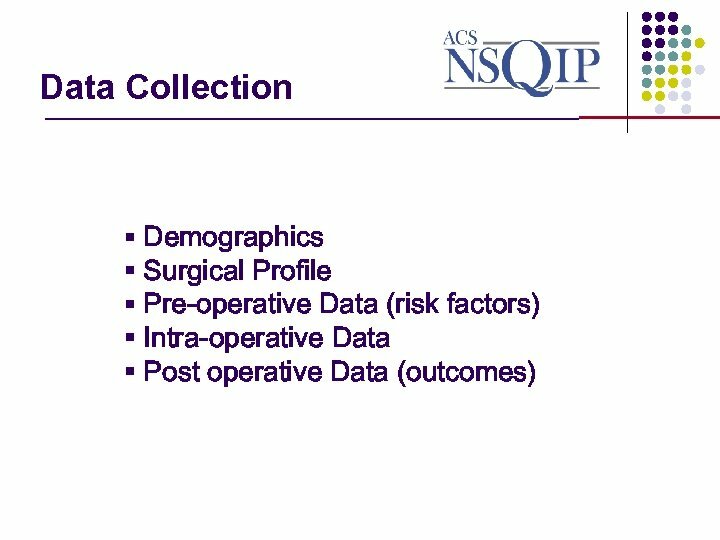 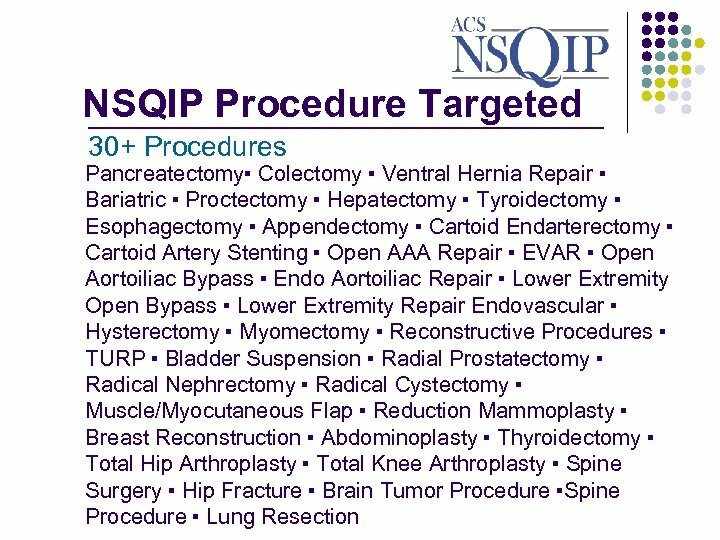 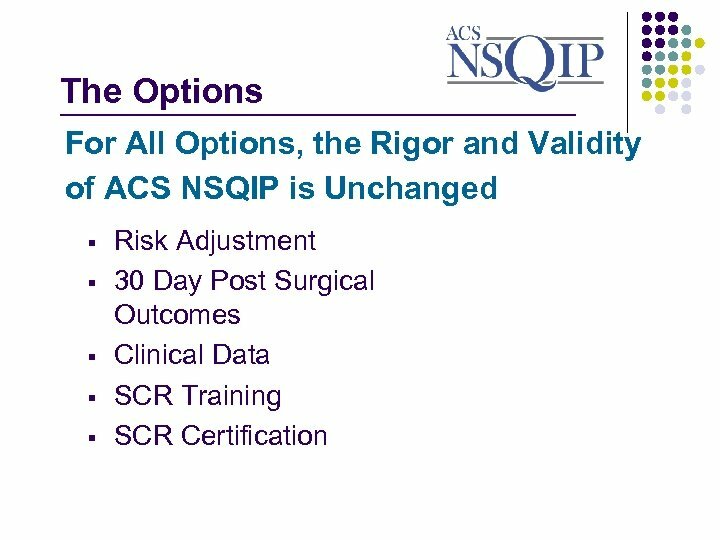 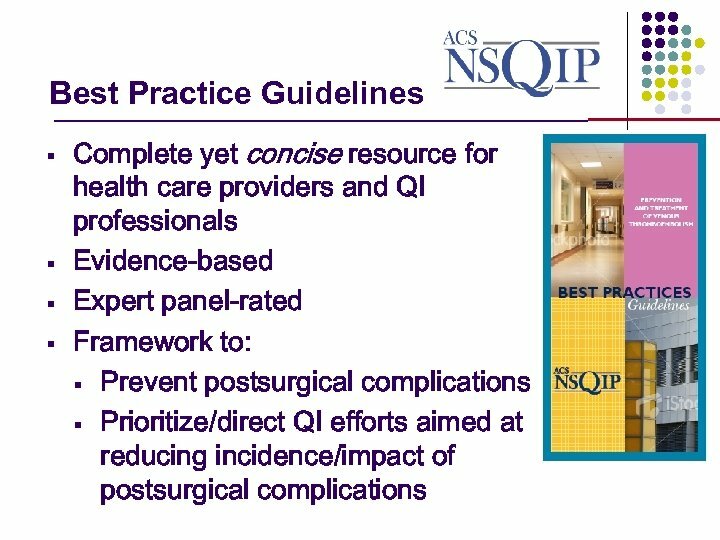 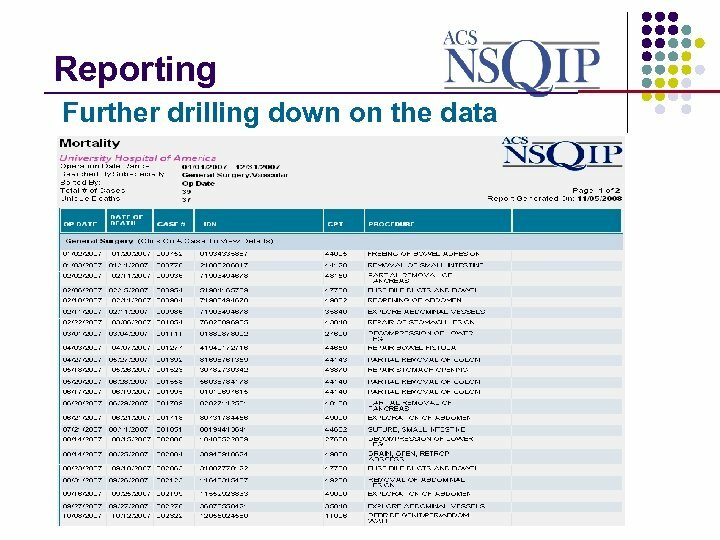 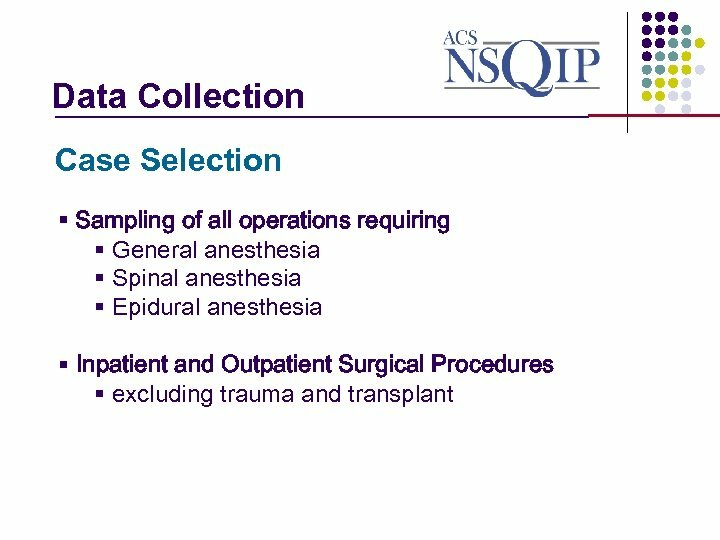 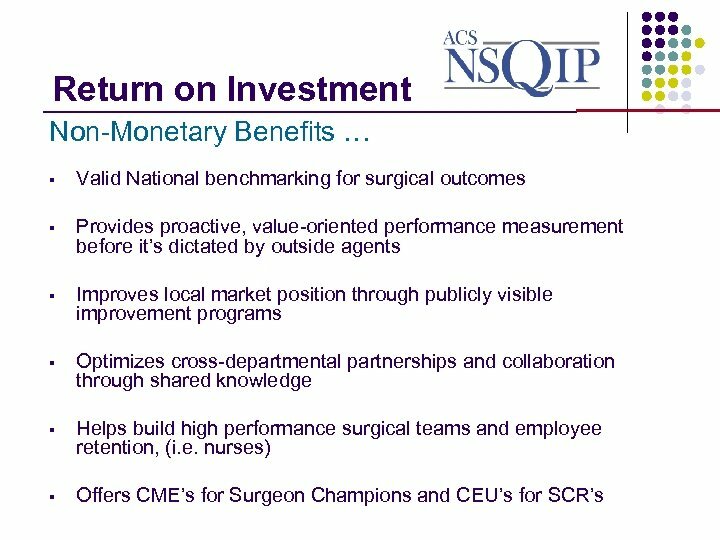 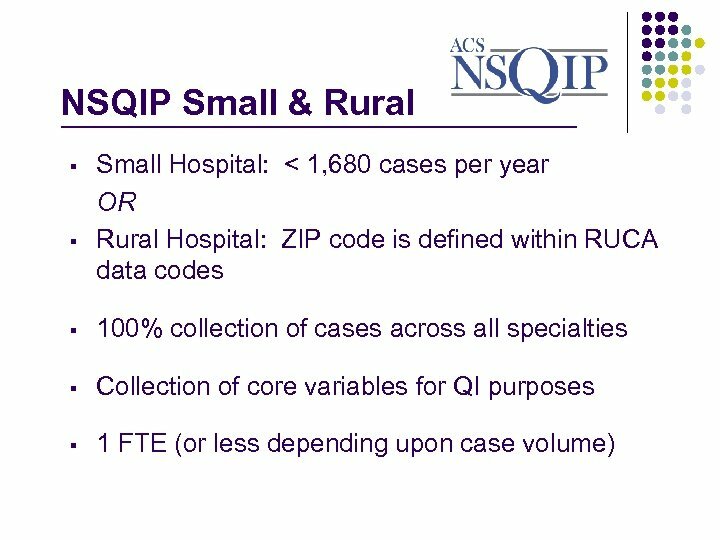 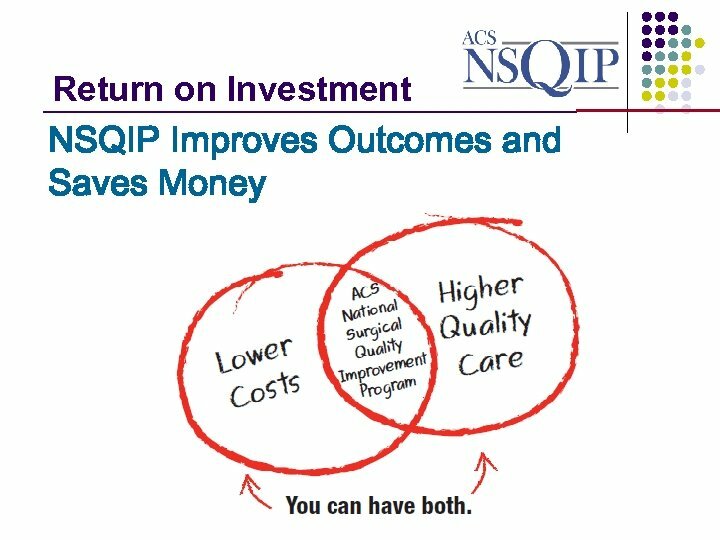 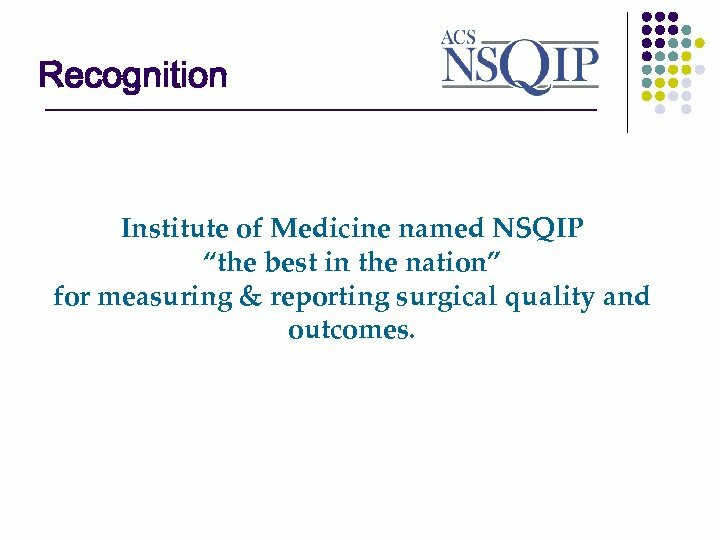 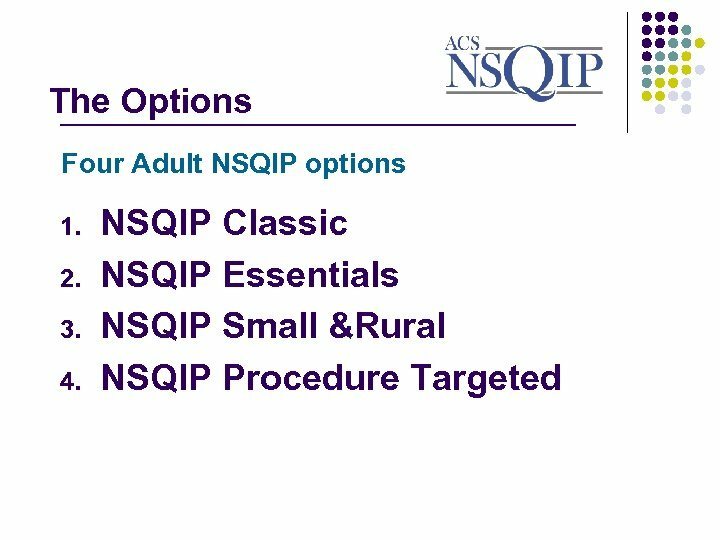 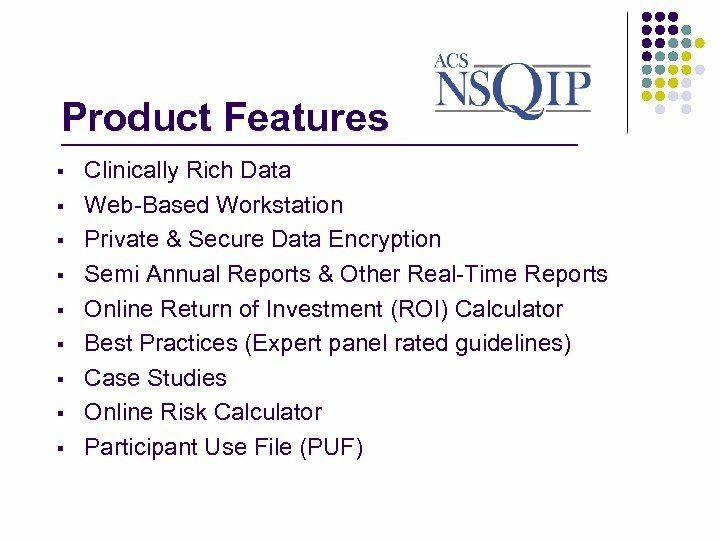 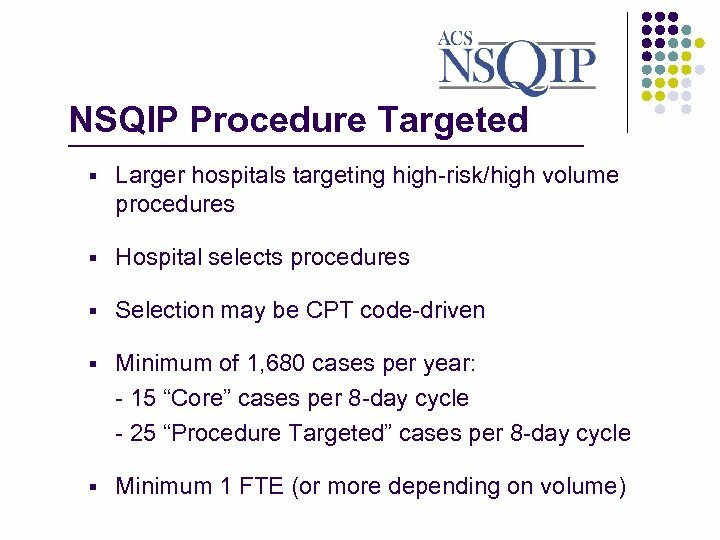 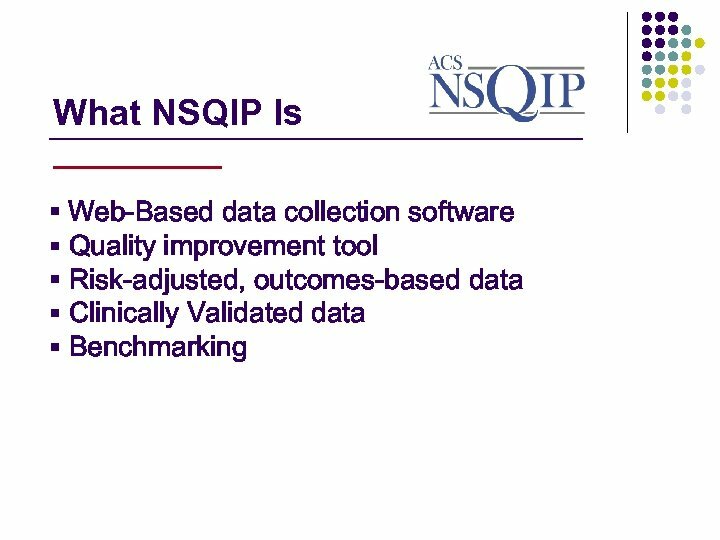 Recognition ________________ Institute of Medicine named NSQIP “the best in the nation” for measuring & reporting surgical quality and outcomes. 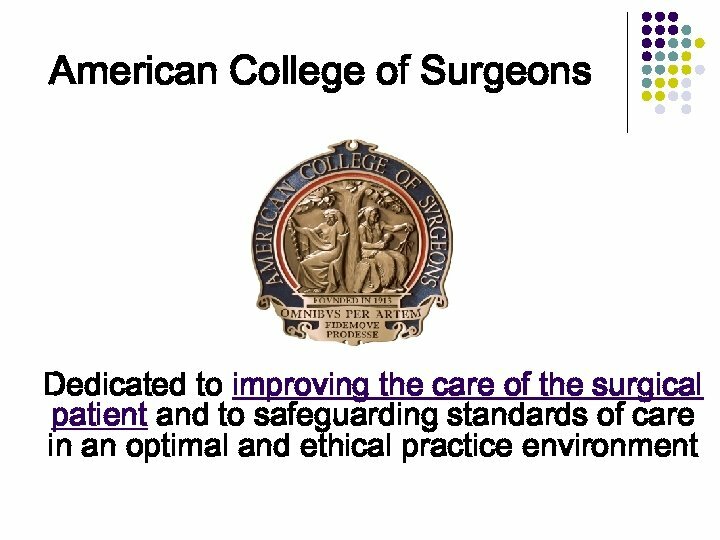 Доктор медицинских наук , профессор КУЗЬМИНА А.